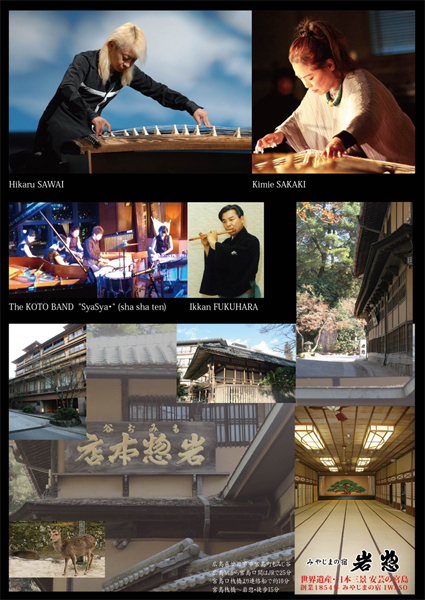 KOTO one time opportunity is a concert, which mainly contemporary koto music will be played, at IWASO Inn where you can enjoy both the history and the nature of Miyajima. Accommodation is also available at IWASO. 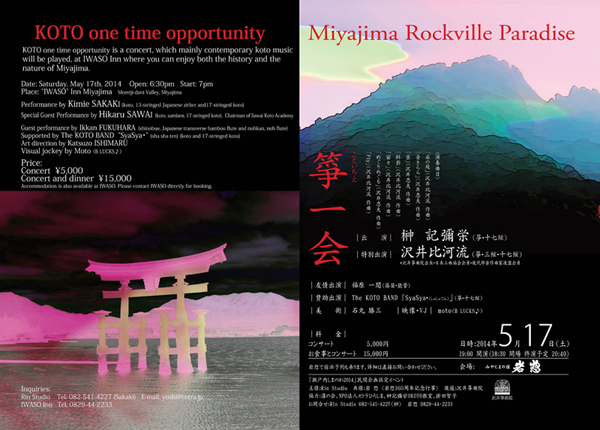 Please contact IWASO directly for booking.